Upon arrival in Chennai, get an assisted transfer to the pre-booked city hotel. Relax for a couple of hours. The rest of the day is booked for leisure activities. Dinner and overnight stay at the hotel. Day 2 is booked for city excursion. 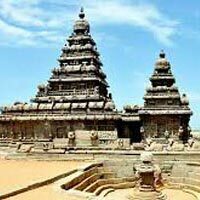 Cover the major tourist attractions of Chennai which include Marina Beach, Fort St. George, built in 1640 AD as well as Kapaleeswar Temple. Afternoon is free for leisure activities and shopping. Night stay at the city hotel. Post breakfast; proceed towards Mahabalipuram, en-route visiting Kanchipuram, one of the 7 holy cities of the country. 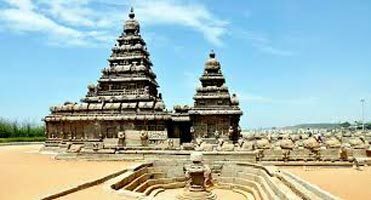 Its temples are famous for a proof of Dravidian heritage. On arrival, check-into the hotel for dinner and staying overnight. Half - day is booked for city tour. Cover Mahishasurmardini caves, The Five Rathas (comprises of 5 monolithic temples in various patterns) and The Shore Temple. Dinner and night halt in Mahabalipuram. Get an assisted transfer to Chennai. Enjoy last minute shopping. Get transfer to the station or airport to catch a train or flight for your next destination.